RK Law, provide 24-hour emergency legal advice to anyone between Rockhampton, Yeppoon, Blackwater, Gladstone and Brisbane at no extra cost. We can assist you or a loved one who needs to make or change a will, a power of attorney or wanting to deal with an estate. If I die won’t everything just go to my husband/wife or partner? This is not always the case, if you die without a will you are found to be intestate. The Queensland intestacy laws have a formula for the distribution of assets from deceased estates where people have died without a valid will. This distribution can include children, as well as spouses. By making a will now, you can prevent considerable confusion in the future. I don’t have any assets does that mean I don’t need to make a Will? The Queensland intestacy laws require all deceased estates to be properly administered. Even if you think your estate is not worth a lot, it is still important you make a will. Most people have personal possessions and superannuation. The superannuation may form part of their estate and by law this requires distribution. Additionally, when people die accidentally there may be substantial sums of money from insurance payouts that form part of their estate. Everyone over the age of 18 needs a valid Will that outlines how they would like their estate distributed. Can I write my own Will using a kit or a note about what I want to happen? Be cautious if you are using a ‘Do It Yourself’ will kits. You may not prepare your will accurately or have it witnessed correctly. This can result in a will being challenged in court due to confusion about your wishes. While leaving behind a note or homemade will might outline what you’d prefer to happen, this type of document may not be legally recognised. The costs to prove this document as your last will may be substantially greater than usual. 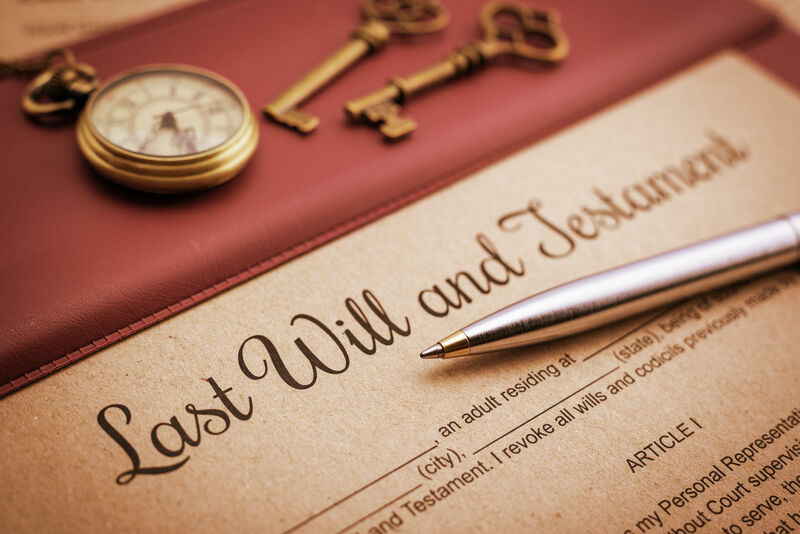 Why risk dying without a valid will – call Rockhampton Estates Lawyers RK Law now. If I am not around, it won’t matter? By taking the time to make a will (usually no more than an hour) you can save your next of kin uncertainty and stress. Why wait? call Rockhampton Estates Lawyers RK Law now. You will also save on the extra legal costs that can potentially be involved to finalise an estate where a person has died without a will. RK Law can make your Will for a fixed fee – so there is no “Bill Shock”. Additionally, if you die without a will there may be extra-legal and administration costs to finalise your affairs. Life events such as divorce, the birth of a child, marriage, entering a defacto relationship, death of a spouse or partner, or death of a beneficiary, can all impact your will. A will should be a part of your life’s journey, it needs updating as your life changes.